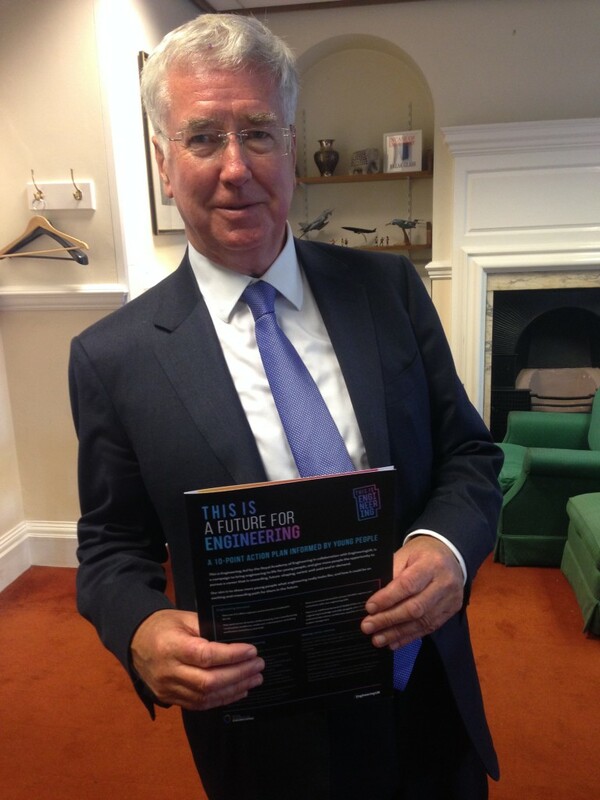 Yesterday, Sir Michael pledged his support for the 10 point action plan to help inspire future generations of engineers led by the Royal Academy of Engineering, in collaboration with EngineeringUK. The plan, part of the This is Engineering campaign, is informed by students (aged between 13-16 years old), and has been developed in response to the significant skills shortage in engineering – the latest figures from EngineeringUK indicate an annual demand for 124,000 engineers and a shortfall of 59,000. The action plan calls for more businesses to pledge to run “taster days”– a shorter version of work experience – to help students understand the varied role of engineering, and for the Government to tie “taster days” into the upcoming careers strategy. Following new research conducted by YouGov that shows that kids aged 13-18 are most likely to turn to Google (52%) for career inspiration, ahead of their parents (41%) and teachers (37%) the plan calls for more careers information to be hosted online and a focused effort by Government and industry to provide better information on further education and the opportunities for technician roles. The report also urges politicians, education providers and the wider business community to support and promote local careers fairs and for politicians and businesses to proactively champion GCSE Design and Technology courses in their local areas. According to 2017 figures, D&T has disappeared from nearly half of schools. This Is Engineering is a new, multi-year campaign to give more young people from all backgrounds the opportunity to explore careers in engineering, and to raise awareness of the breadth of opportunities available in the profession. Launched in the government’s Year of Engineering, the campaign is being backed by a consortium of major engineering companies.